1. Robert Vaughn earned a Ph.D. in Communications from the University of Southern California in 1972. His dissertation was published as the 355-page book Only Victims: A Study of Show Business Blacklisting. 2. He received an Academy Award nomination as Best Supporting Actor for The Young Philadelphians in 1959. The film starred Paul Newman as an ambitious young lawyer; Vaughn played his client in a murder trial. Hunting for food in Caveman. 3. 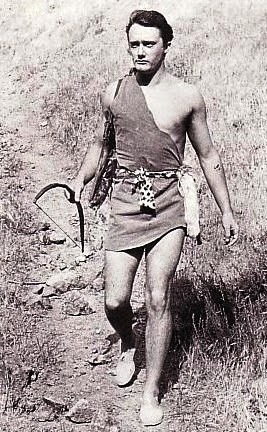 Vaughn played the title character in Roger Corman's 1958 cult classic Teenage Caveman. In the film's big plot twist, the prehistoric past turns out to be the future! In his 2008 autobiography A Fortunate Life, Vaughn wrote: "Virtually every time I'm interviewed about my fifty years in motion pictures and television, after being asked about The Magnificent Seven, Bullitt, The Towering Inferno, and especially The Man from U.N.C.L.E., the questioner invariably, with some reluctance and downcast eyes, asks: 'How did you happen to get involved with Teenage Caveman?'" 4. Prior to The Man from U.N.C.L.E., Robert Vaughn starred in the 1963-64 TV series The Lieutenant, which was created by Gene Roddenberry. Vaughn portrayed a Marine captain who served as mentor to the show's title character (which was played by Gary Lockwood). Although the series lasted just one season, it led to producer Norman Felton casting Vaughn as Napoleon Solo in U.N.C.L.E. Interestingly, the names "Napoleon Solo" and "April Dancer" (later used for The Girl from U.N.C.L.E.) were the contribution of Ian Fleming, who was briefly involved in the show's development. 5. Four years after the cancellation of The Man from U.N.C.L.E., Vaughn went to Europe to star in the half-hour espionage action series The Protectors. The show was created by Gerry Anderson, who remains best known for his marionette puppet series Thunderbirds and Fireball XL5. Vaughn wasn't happy with The Protectors, which failed to click on many levels (e.g., he and co-star Nyree Dawn Porter had zero chemistry). 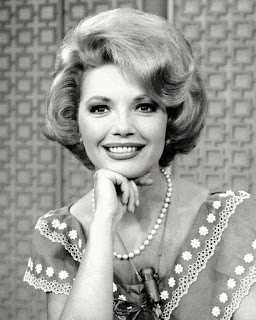 Vaughn did click with actress Linda Stabb, who appeared in the 1973 episode "It Could Be Practically Anywhere on the Island." The two were married in 1974--and remain so today. They have two adopted children. 6. Vaughn, an active Democrat, campaigned for his friend Bobby Kennedy in 1968. 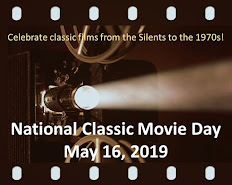 He has played U.S. presidents, all Democrats, in the following: Woodrow Wilson in the mini-series Backstairs at the White House; Franklin Roosevelt in the TV-move FDR: The Man in the White House; Roosevelt again in the TV-movie Murrow; and Harry Truman in The Man from Independence. Surprisingly, Vaughn is not a fan of Barack Obama. In a 2010 interview with the British newspaper the Daily Record and Sunday Mail, he said of President Obama: "He's ill-equipped for the job." 7. 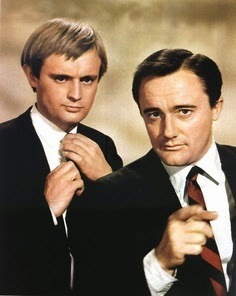 Robert Vaughn is scheduled to appear in New Year City on June 28, 2014 at an event celebrating the 50th anniversary of The Man from U.N.C.L.E. Wow! Who knew?! I'm now very keen to get a copy of his book. Thanks for giving us (me) more background information on this actor. Rick, I really thought this was a fascinating post! I had no idea that Robert Vaughn earned a Ph.D. It was interesting learning about the "Caveman" movie and about him working with his lovely wife on "The Protectors." Well done! Only Victims is well-worth reading, an honest and gut-wrenching take on the blacklisting. I thought Robert Vaughn was an excellent lead in films like The Venetian Affair and The Bridge at Remagen, and wish he'd had others. David, thanks for the additional info on Vaughn's book! Enjoyed reading this, Rick. I'm a big fan of Vaughn, most especially loved him in THE MAGNIFICENT SEVEN and, of course, THE MAN FROM UNCLE. tdraicer: Nothing surprising about a fan of FDR not liking Obama, since one of the few promises Obama has kept is his 2008 post-election promise NOT to give us a new New Deal. There's a Crack...in the World!